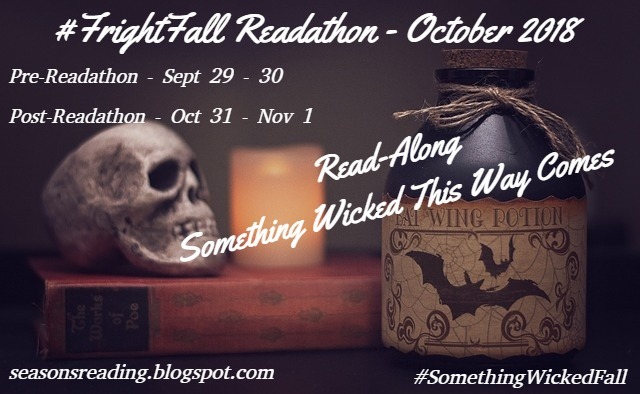 #SomethingWickedFall 48 Hour Kick-Off #Readathon - It's a wrap! I can't believe how fast the 48 hours went by! I was bummed, but then I remember Elyse's readathon is still going on through tomorrow. Yay! How did you do? 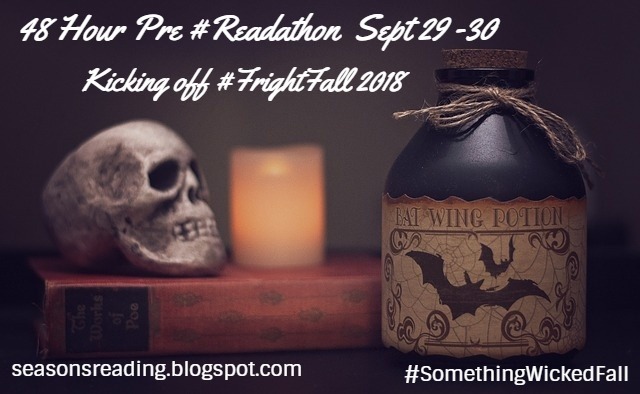 Whether you read a lot, or not, don't despair because you know FrightFall is coming up in October and we're having 48 hour pre and post readathons for that as well. Stay tuned for all the details and sign-ups coming soon. Meanwhile, the Something Wicked Fall event is still going on at Castle Macabre through October's end. In September, we're reading Gothic short stories. Read any spooky stories, with a Gothic theme, you like. I will have a master post up over there for people to share their reads in the comments (this will be up tomorrow). We are also going to be having a watch-along of the movie Hereditary within the next couple of weeks...and will probably watch a couple more. Frances had the excellent idea to watch Something Wicked This Way Comes since we will be doing a read-along of Bradbury's book in October. That watch-along will most likely be at the end of the month, after we've finished the book. Get all the details for the scary Fall events at this post at Castle Macabre. Thanks for joining in this weekend! Hope your scary (or not) Fall reading is off to a great start! Note: If you add a wrap-up to the linky, this is the same linky so include the words "wrap-up" or "wu" with your name/blog in the linky. Thanks! 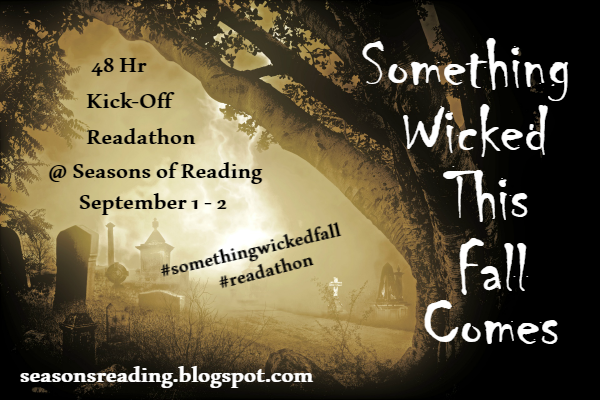 #SomethingWickedFall 48 Hr Kick-Off #Readathon is a go!!! It's just past midnight here in the central (U.S.) time zone and we are starting our 48 hour readathon. Are you in? You can join in at any time during the 48 hours this weekend. We will end at 11:59 pm CDT Sunday. Adjust the times according to your time zone (you can use the time zone converter link in the sidebar menu). We're playing fast and loose with this one so no real rules, no prizes, no hoops to jump through. Read scary, or not. It's up to you. Just read and enjoy! Share with us on social media, your blog, Goodreads, etc. Don't forget about our Facebook group, our Goodreads group and our Instagram. If you're wondering about Something Wicked This Fall Comes, hop over to Castle Macabre for all the details. We're going to use the same linky that we used for sign ups so if you do a starting line post, include that with your name, like so...True Book Addict (starting line). We will also use this linky for wrap-ups so same as above...True Book Addict (wrap-up). Easy peasy! Okay, that's it. Have fun...happy reading!